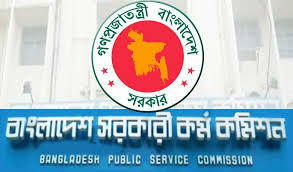 BCS 36th preliminary exam seat plan published by Public Service Commission (PSC) today. The preli exam will be held on Friday, January 8. According to the seat plan, exams will be held in total 161 center in Dhaka and divisional cities. More than two lakh candidates are taking part in the examinations, as PSC said. In this year, PSC banned watch, pocket watch, electronic watches in the exam hall for the first time. PSC confirmed about that in a press release yesterday. However, there will be enough wall clock in exam hall to know the time during exam. Under the terms of BSC exam, Mobile phones, all types of electronic calculators, calculators, books and bags are straightly prohibited in the exam hall. Though the test will begin from 9:30 am, the candidates will have to take their seat at 8:20 am to fill up answer sheet with registration number and to sign in attendance register. The question paper will be given at 9:30 am and exam will be finished at 11:30 am. No one will be able to enter into exam after the start of the examination and no one will be allowed to leave before the end of the examination .